Amidst the cold and dreary tail-end of winter, nothing is more exciting to a college golfer than signs of sunshine. As the weather continues to get better here in Hartford, the golf courses in the surrounding the area have yet to get back in proper shape, thus thwarting any possibility to commence a spring season. 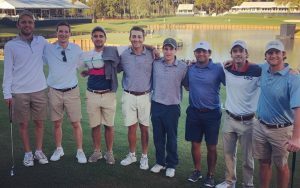 That being said, the men’s golf team recently got back from their week-long training trip to Florida and, judging from first-hand experience, the sun was certainly shining, and the courses were in immaculate shape. Altogether, the Bantams got the opportunity to play golf seven days in a row, accumulating 126 holes of golf. What’s more interesting about this is the fact that the team played seven different courses. The primary focus of the spring training trip is to get back into playing shape, both mentally and physically, but there are other benefits to traveling to Florida, as well. All of the clubs that the Bantams were fortunate enough to play came thanks to the strong alumni network that the College diligently maintains. Various generous alumni and friends of the College graciously hosted the team at all seven courses, making for an excellent opportunity for current student-athletes on the team to connect with alumni. There were many highlights during the trip, but one stood out for players and coaches. The team was able to meet legendary golf course architect Pete Dye, as well as his son P.B. Dye, who has an impressive portfolio of course designs himself. Mr. Dye is a member of the World Golf Hall of Fame, has designed hundreds of courses worldwide, and is generally known in the golfing community as a trailblazer of modern golf architecture. His most famous designs include the Stadium Course at TPC Sawgrass, Harbour Town Golf Links, Kiawah Island, Whistling Straits, and Crooked Stick Golf Club, to name only a few. Included in the vast network of alumni associated with the Bantam golf program is PGA Tour Commissioner Jay Monahan. Mr. Monahan graduated Trinity in 1993 and competed for the hockey and golf team. Now, he is the face of the PGA Tour, which is the pinnacle circuit of professional golf. The Bantams were able to connect with Mr. Monahan, as he graciously hosted the squad at TPC Sawgrass, where they played the Dye Valley Course. And yes, that course was designed by Pete Dye. Head coach Matt Greason added that the spring trip “is a special opportunity where Trinity golf and Trinity athletics as a whole are able to directly link the past to the present. 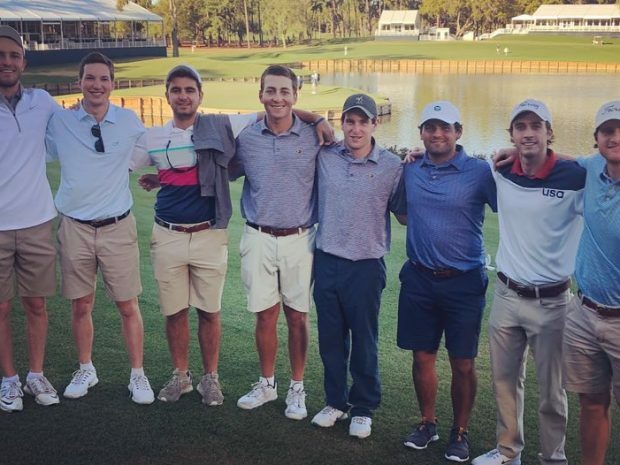 It’s a memorable week for the current team as well as the alums who are able to join in the experience.” In the middle of the week, the Bantams competed against Hamilton College at John’s Island Golf Club, where they tied the Continentals in match-play. This spring, the Bantams hope to defend their NESCAC championship title, where they will be competing against Hamilton, Tufts, and Middlebury. Their first tournament of the spring is on April 13th at Skidmore College, followed by the Williams Spring Invitational, and the NESCAC Championships at Middlebury. Soon, the sun will shine and the grass will get greener here in Hartford, but the team’s trip to Florida scratched the golf itch that so many of us had been feeling all winter long. Going forward, the Bantams hope to capitalize on their off-season training, which includes sessions at a simulator and yes, the weight room, believe it or not. The Tripod wishes the Bantams the best of luck.